Unfortunately there’s no way to discuss this book without a spoiler. Those who followed the Incredible Hercules series will be aware that the conclusion to Assault on New Olympus shifted the ground considerably. Our favourite demi-God died. 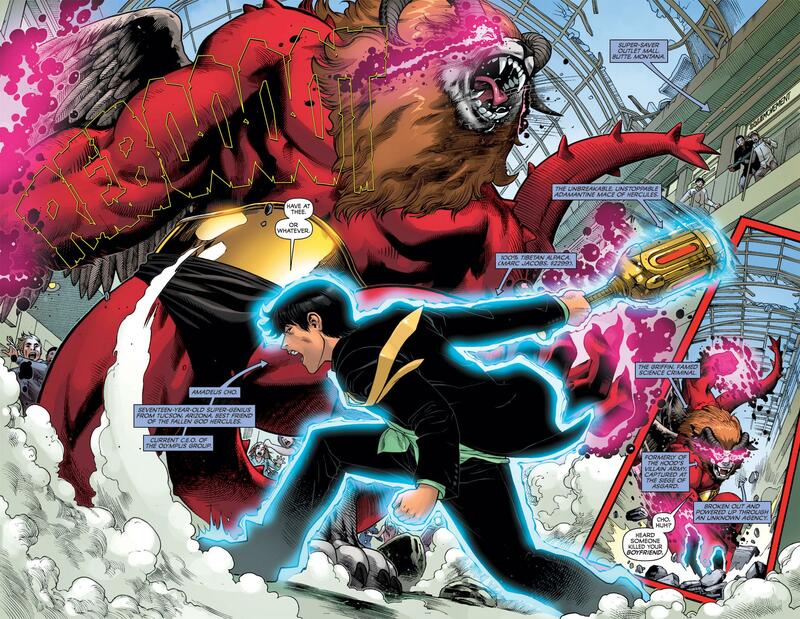 This is the Marvel universe, though, where death isn’t necessarily the impediment it is in reality, and the thread of this book is his pal Amadeus Cho’s attempts to pull Hercules back from beyond the mortal veil. Ariel Olivetti illustrates the opening sequence using his painterly style. It’s a charming recollection of Hercules from his many allies and lovers, that shifts into a battle for control of Olympus. Under the writing team of Greg Pak and Fred Van Lente it’s a consistently surprising, ground-shifting conflict relying on far more than strength, with several novel moments. The specific fear of Pluto, God of the underworld is particularly revealing. 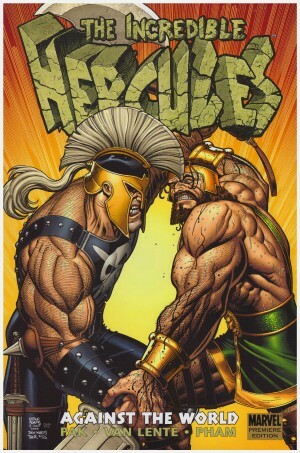 There’s a strip running almost parallel as Namora and Venus discover that over the centuries Hercules has stashed away monumental amounts of money, and what he’s done with it. Paul Tobin and Reilly Brown start and finish well, but their middle eight could be trimmed. The remainder of the book details how Cho sets about business having taken control of the New Olympus group, and with it the funds and resources enabling him to locate Hercules, already confirmed as not among the underworld. Unfortunately for him, there are others keen on acquiring the resources for their own purposes, and they appear as smart as Cho. Those who’ve been wondering about what happened to the Pantheon since their days with the Hulk might want to check in as well. 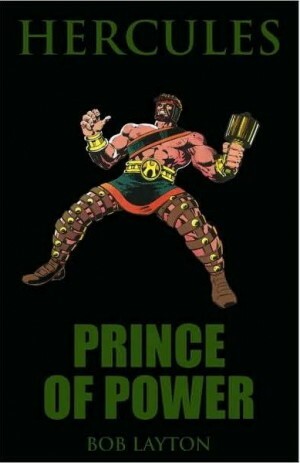 All the excitement and charm that Pak and Van Lente brought to their Hercules series is in place with Hercules absent. There’s a strong plot, plenty of surprising twists and many charming moments ranging from minor throwaway jokes such as food bank spam being delivered, to homeless Asgardians, to major punch the air moments such as Cho taking on Thor and holding his own. 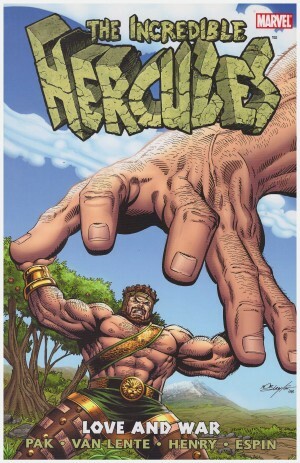 There’s also a clever and credible conclusion as to where Hercules is located, referring back to his previous series. Reilly Brown’s pencils tell the story without intruding, and just how good he’s been slides into focus with the final chapter when Adam Archer also contributes. The only shame is that having reached a natural conclusion, the story doesn’t actually end. Readers are dragged into yet another crossover. Shame on you Marvel.